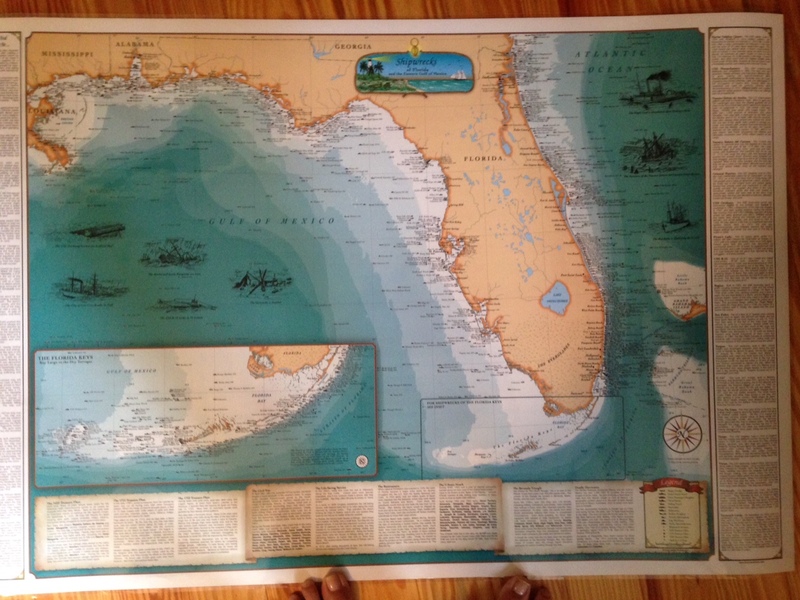 Okeechobee Fruit Lands Co., early 1900’s map, ~Museum of the Glades. 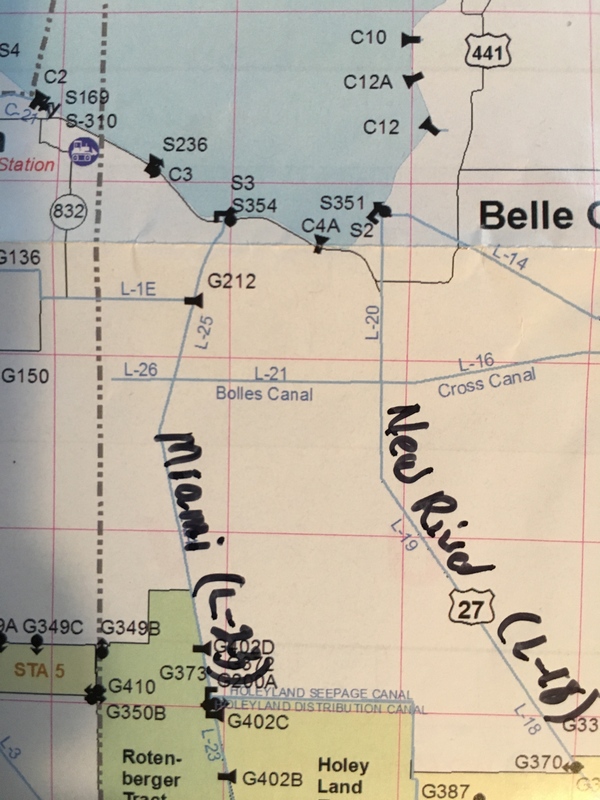 “Bolles founded the first of his Florida enterprises, the Florida Fruit Lands Company, to dispose of 180,000 acres in Dade and Palm Beach Counties. 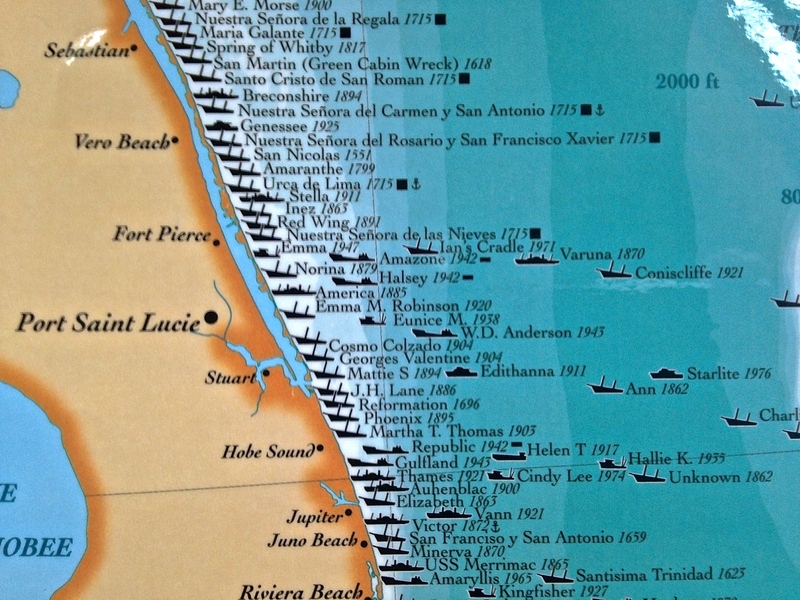 The company divided the lands into 12,000 farms of varying size and designated a townsite, ‘Progreso’, with plans for streets, factories, schools, churches, and public buildings. For the price of $240, a buyer could purchase a contract from Florida Fruit Lands Company, entitling them to bid on a farm and town lot through a scheduled auction. 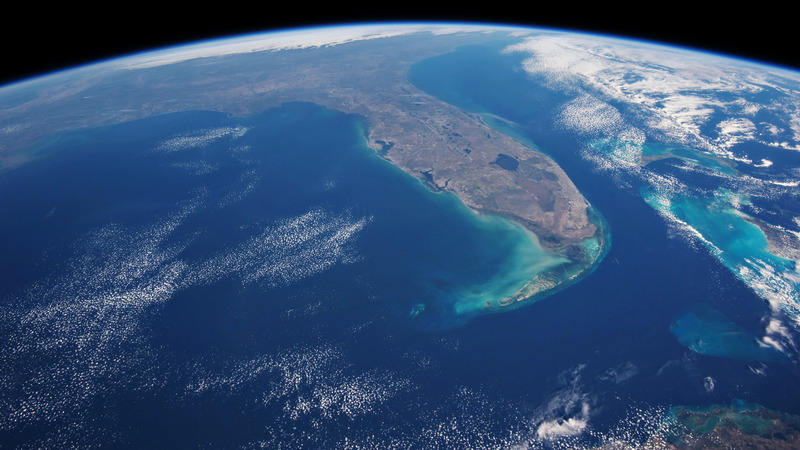 This same scheme was employed by other sales ventures pitching swamp land in Florida, including Okeechobee Fruit Lands Company, which dealt in Bolles’ remaining 428,000 acres around the shores of Lake Okeechobee…. 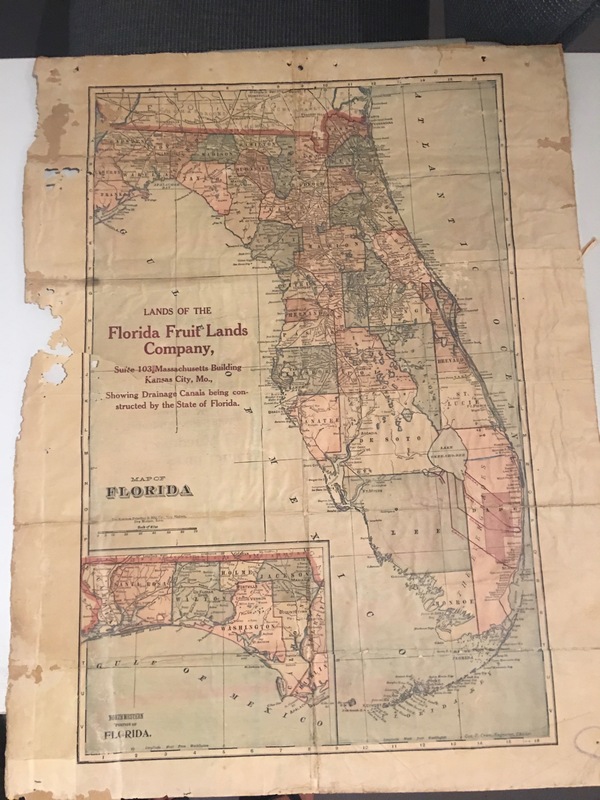 Florida Fruit Lands Co. Map ca. 1907, Museum of the Glades. 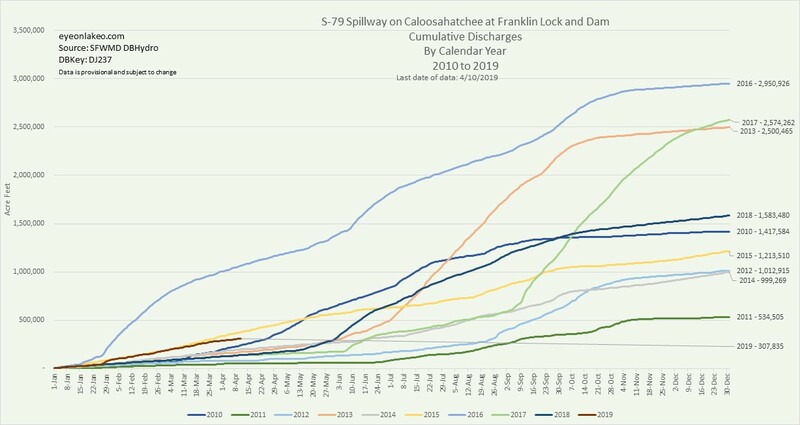 Okeechobee Fruit Lands plat map once again. 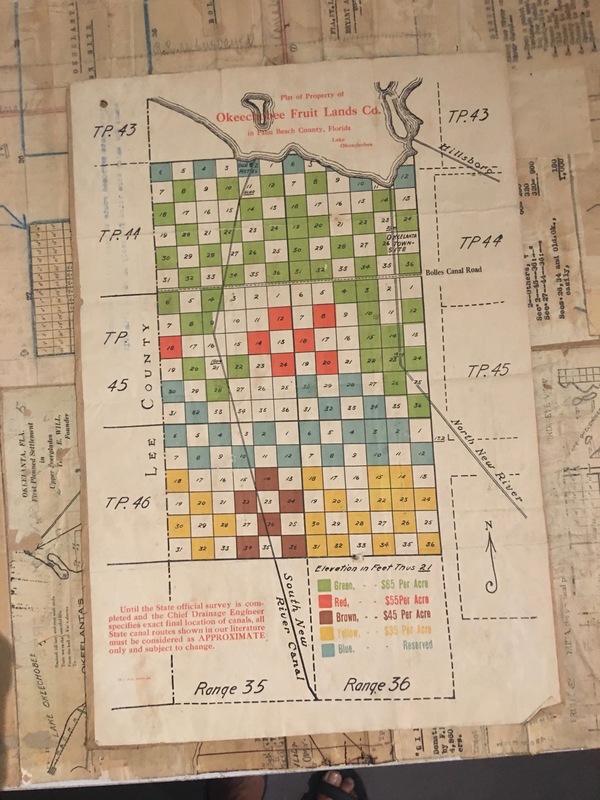 It’s fascinating to look at the Okeechobee Fruit lands map and imagine what would have happened, what could have happened, if Dicky J. Bolles had been successful in his underwater private swampland “scheme.” Look at his plan for this multicolored plat map! 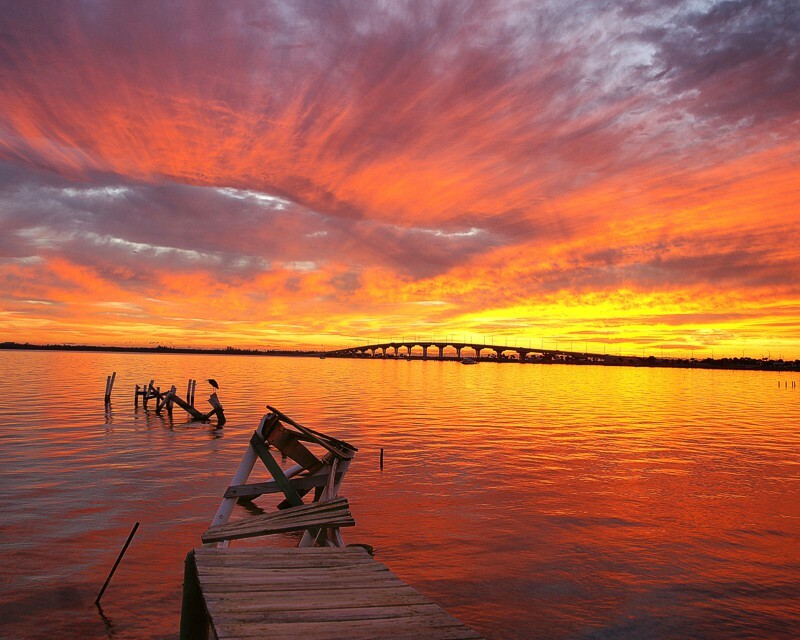 Instead over time, the Great Depression set in, and the Federal Government, ACOE, came in just over a couple of decades later to help save us from Mother Nature and from ourselves, creating unified protections of the EAA under the 1848 Central and Southern Florida Plan, House Document 643. 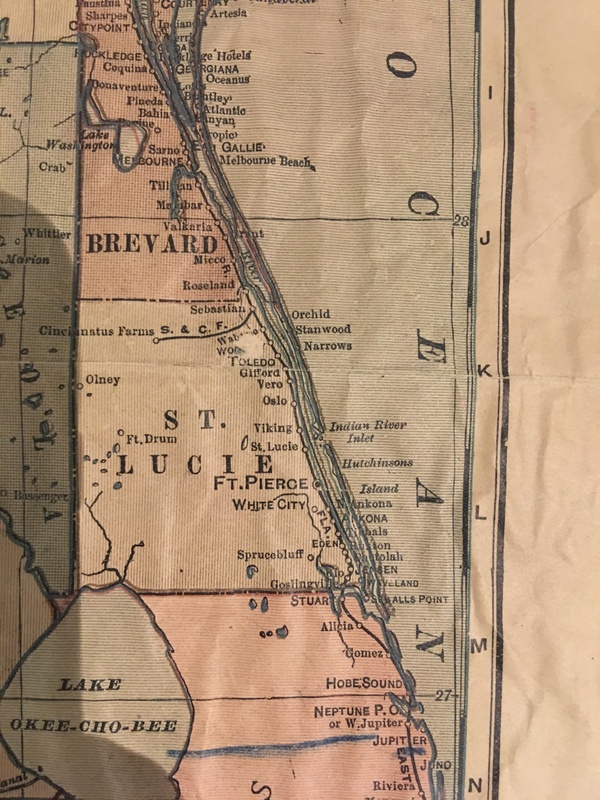 Image up close, Museum of the Glades~although I see no date was obviously created prior to the 1914-1923, the dates of the first digging of the St Lucie Canal which has been worst part of the St Lucie’s River’s complete and total destruction. This canal has been deepened and widened many times, reinforced by the CSFP of 1948. Interesting to note penciled in blue line to Jupiter, perhaps this was a possible canal never built.